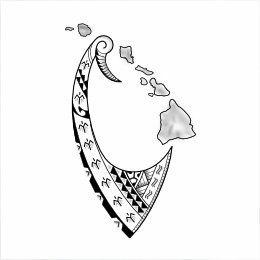 Manfred is a triathlete who completed several Ironman challenges in Hawaii and he asked us to integrate his MDOT logo tattoo with a fish hook and Hawaii islands design that he drew. He did a great job with it so our challenge was mainly to integrate the three parts in a way that would make them feel united yet leaving them singularly significant. 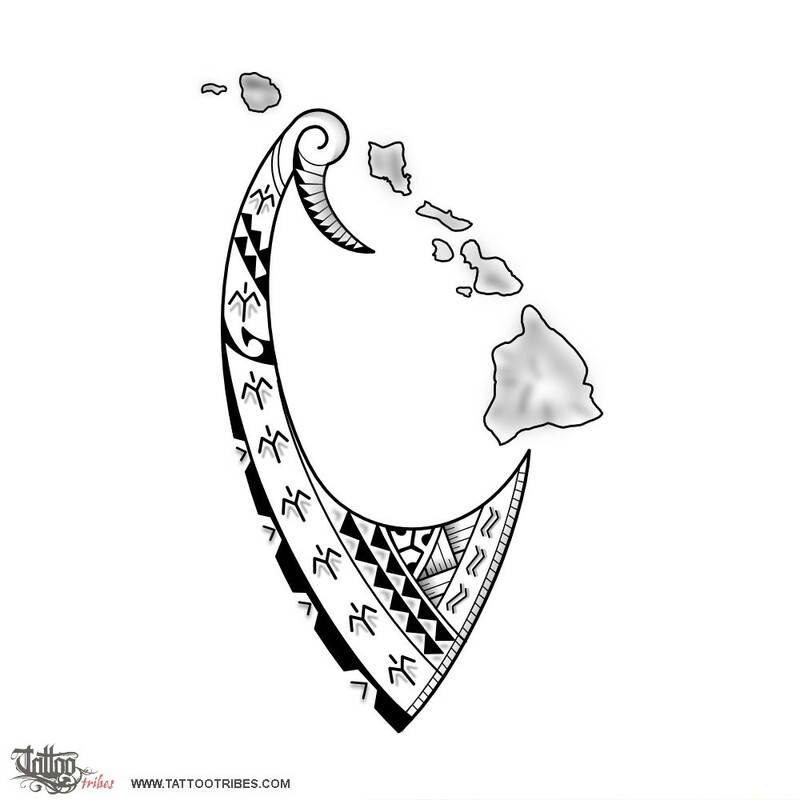 Leaving some space around the logo lets it stand out while having fish hook and islands joining to form a circle allows to keep the logo completely surrounded and close enough to look like one consistent design also recalling the story of Maui fishing the Hawaii out of the ocean. The fish hook represents prosperity and it incorporates elements representing water, land and air. Birds also symbolize voyages and watching the world from a higher perspective while shark teeth are for adaptability, tenacity and strength. The koru symbolizes life, flax leaves and braid represent love and unity.